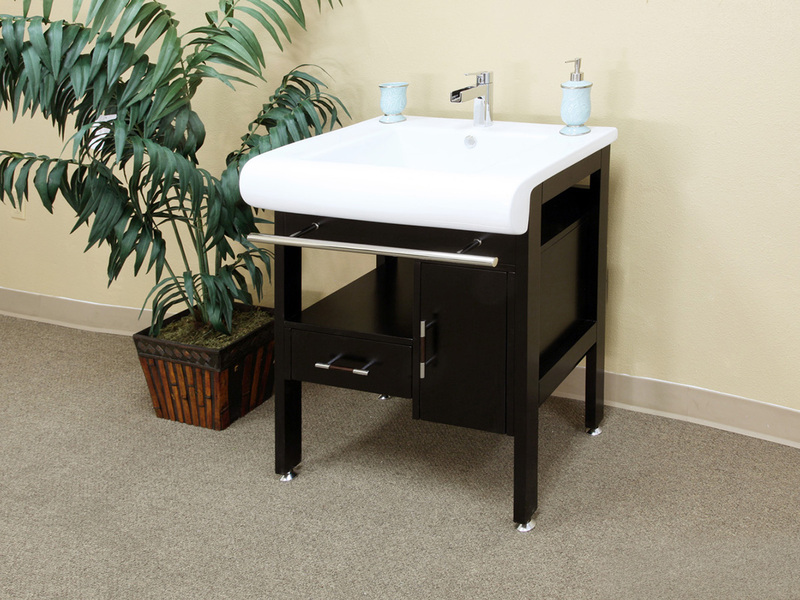 The Sevan Modern Vanity has a distinct modern design with its clean lines, rich espresso finish and chrome accents. 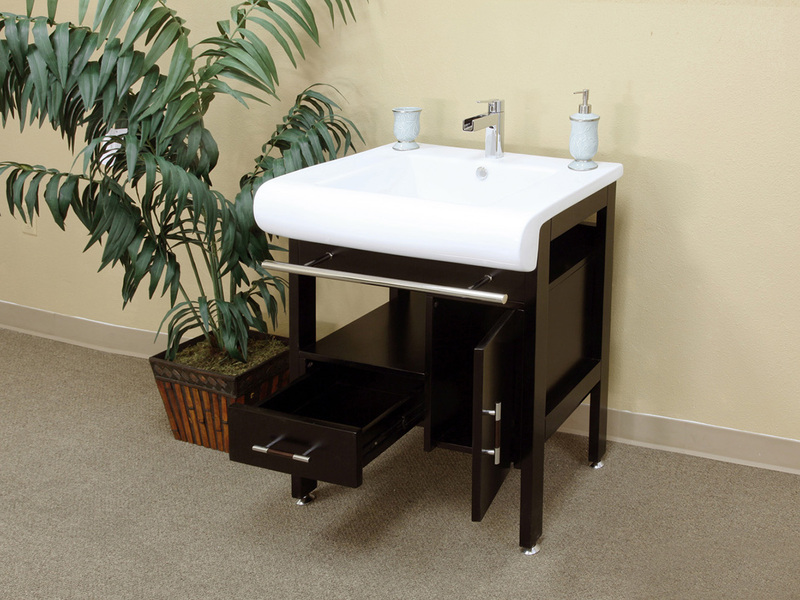 This vanity will look great in almost any contemporary bathroom with its easy to match colors and clean design. 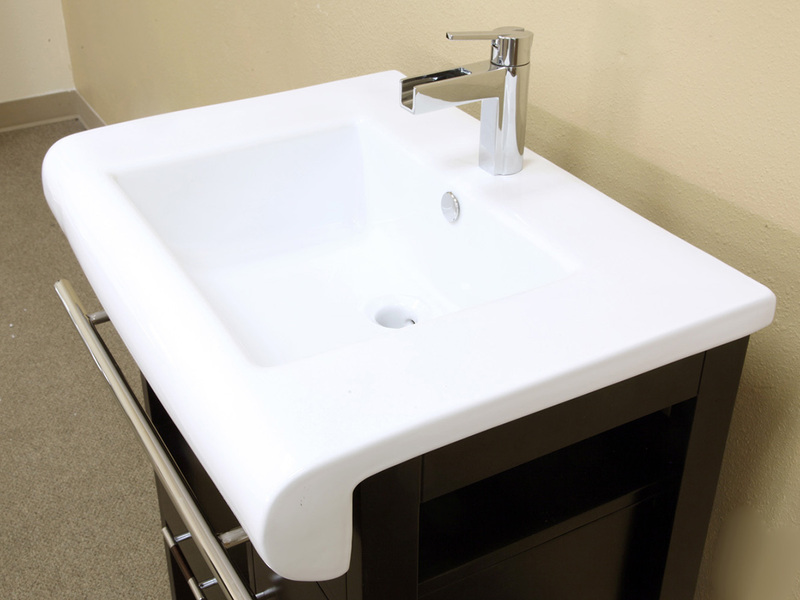 Not only is it stylish, its solid wood construction and water proof finish ensure that its good looks will last. 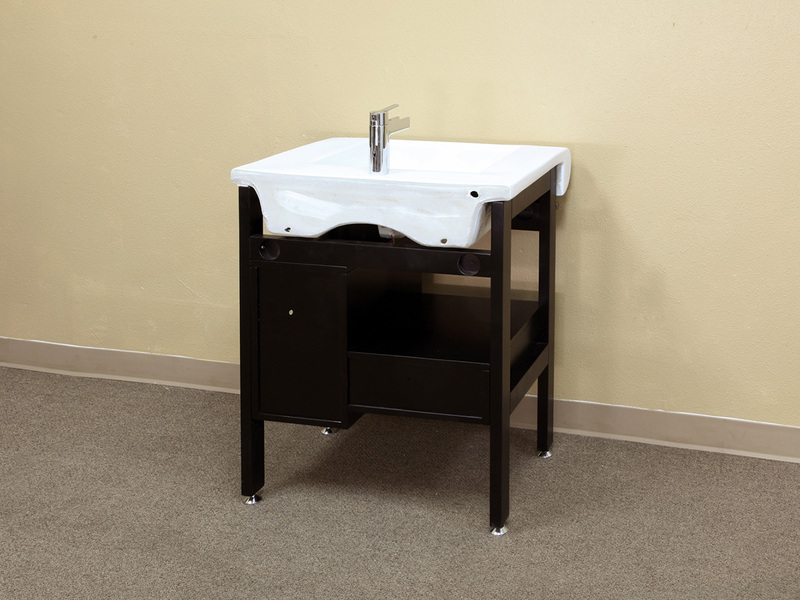 A drawer, cabinet and shelf give you lots of storage options for all of your bathroom necessities. 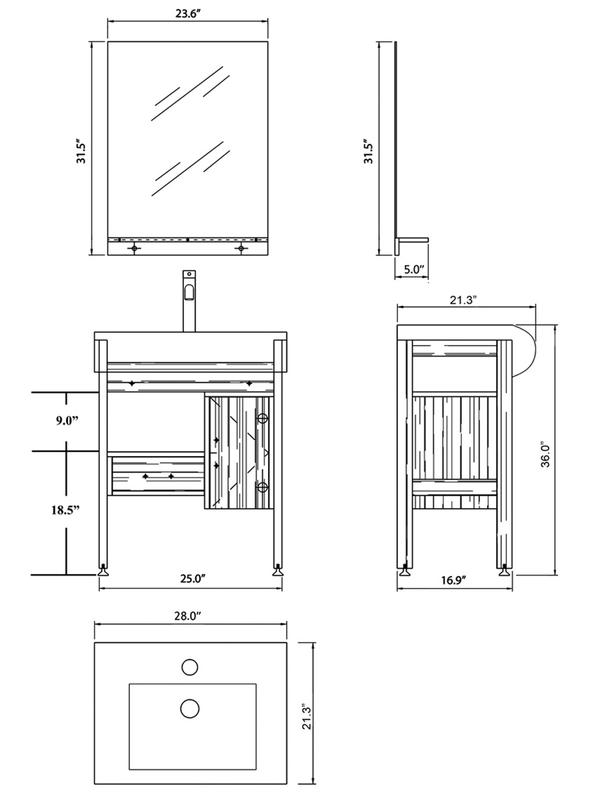 The drawer opens effortlessly with its ball bearing glides and the cabinet door comes to a controlled stop with its soft closing hinges. 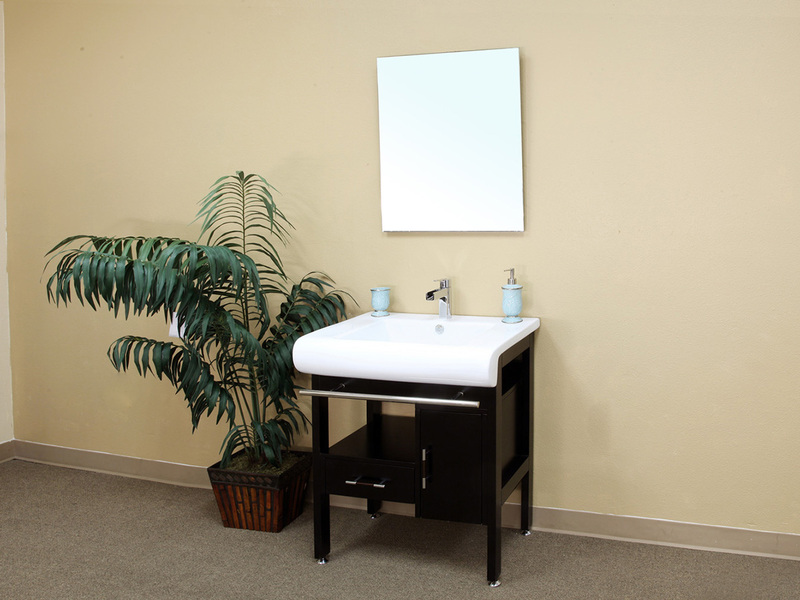 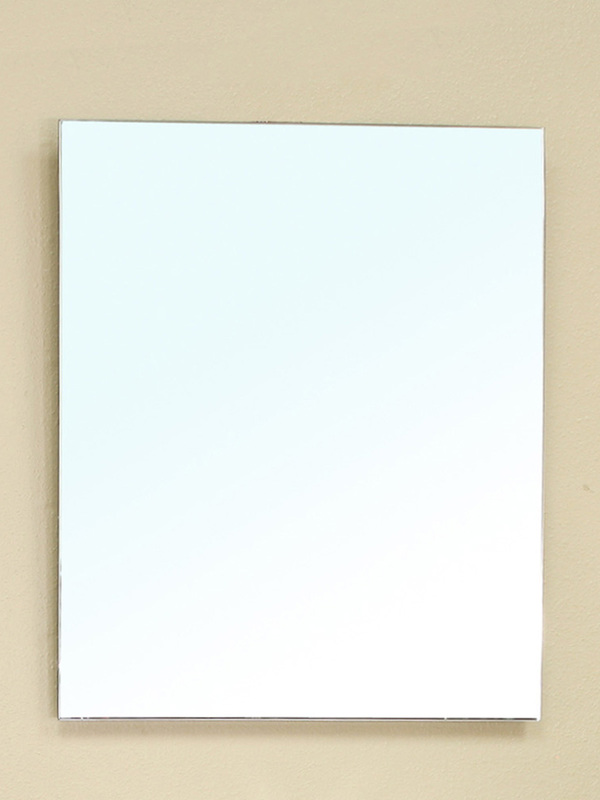 A matching mirror is also available for this great modern vanity.